Wokingham Borough residents will bejoining the fight to improve our carbon footprint as food waste collectionsstart next week, April 1. 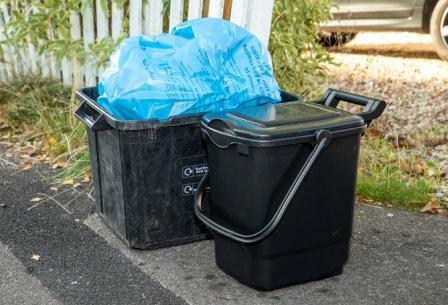 Each household will have a lockable23-litre kerbside food waste container to prevent animals getting to the waste,along with a smaller kitchen caddy and a roll of caddy liners. Food waste will be collected on aweekly basis at the same time as existing blue bag and black box collections,which will not change. 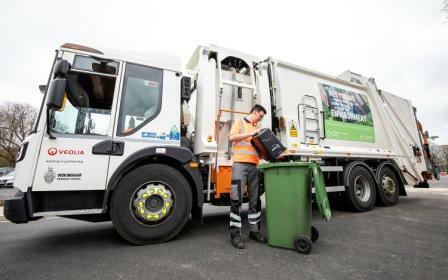 A brand new fleet of waste collection vehicles will besupporting this new self-sufficient service – allowing residual, mixedrecycling and food waste to be collected in the same vehicle. The food waste will be sent to ananaerobic digestion plant, which captures the methane created by the waste toproduce energy and fertiliser. Almost all forms of food waste can be collectedincluding cooking oil, which should be stored in a sealed plastic bottle insidethe locked kerbside container. The food waste bags will be removedprior to the anaerobic digestion process and sent to an energy recoveryfacilities where they will be incinerated to generate energy. Sarah Hollamby, director of localityand customer services said “Methane, one of the most potent greenhouse gases,is produced by decomposing food waste. By introducing a food waste collectionservice we are able to capture this methane and turn it into energy – whilealso preventing it from entering the atmosphere. For more information on where you cancollect caddies from go to www.wokingham.gov.uk (search ‘food waste collections’).